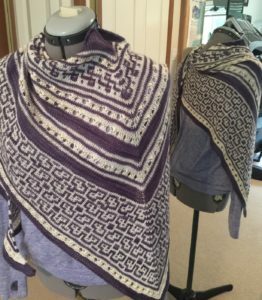 Home » Annetarsia Knits » Knitting binge – antidote for anxiety? 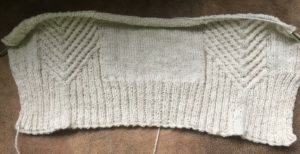 Knitting binge – antidote for anxiety? Comments Off on Knitting binge – antidote for anxiety? I’ve finished 4 shawls in quick succession. 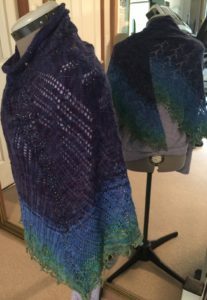 Peacock Shawl (Sivia Harding), Rock the Kasbah (Cindy Garland), Light and Up (Caroline Wiens), Exploration Station (Stephen West). 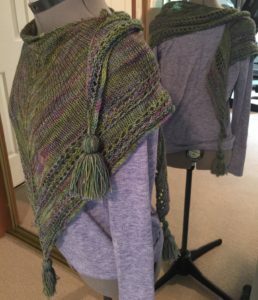 I still have a few more shawls in the queue, but this is getting ridiculous, so now I am casting on a sweater, Messaline (Bristol Ivy). 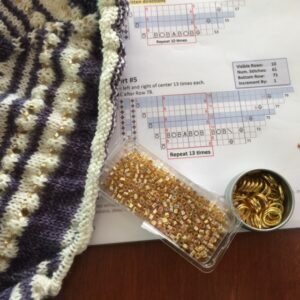 My stash of projects to knit has been building up for the past few years, as I concentrated on designing, writing, and publishing “Annetarsia Knits”. So, having this blitz of knitting other people’s patterns has been extremely enjoyable. I feel a bit guilty about not creating new Annetarsia patterns, but there are several out there besides the ones in the book – the “Sassy” sweater, “Isoceles tunic” and “Stumptown Slouch” being the most recently added to my Ravelry store. And hey, it is almost time to knit some new Argyle ornaments for the tree! 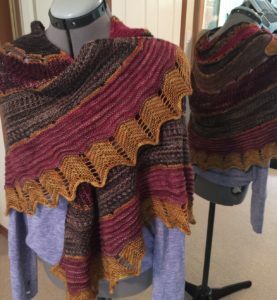 So I am indulging myself in a marathon of supporting other designers and knitting up the pretty yarn that I have been buying in the past year. I know that I am not alone in finding that grounding myself in my craft keeps me settled in a crazy world. Thank goodness for our fiber crafts!